Let’s Celebrate National Hamburger Month! Yep, it’s time to celebrate one of America’s favorite foods—the hamburger. The varieties are endless, from the simple classic on a sesame bun with ketchup, to exotic combos highlighting buffalo meat, pretzel buns, fried eggs, and baby greens. Whatever your favorite combination is, take your part in the celebration by whipping up these mini burgers. They’re the perfect size for little hands to help prepare and gobble up! anything else you and your kids come up with! Place the ground beef in a medium bowl. Sprinkle the meat with salt and pepper, then add the barbeque sauce. With clean hands, squish and squash until all ingredients are mixed in. (Kids love that part!) Next, take about 1/4 cup of meat, and make it into a patty shape. 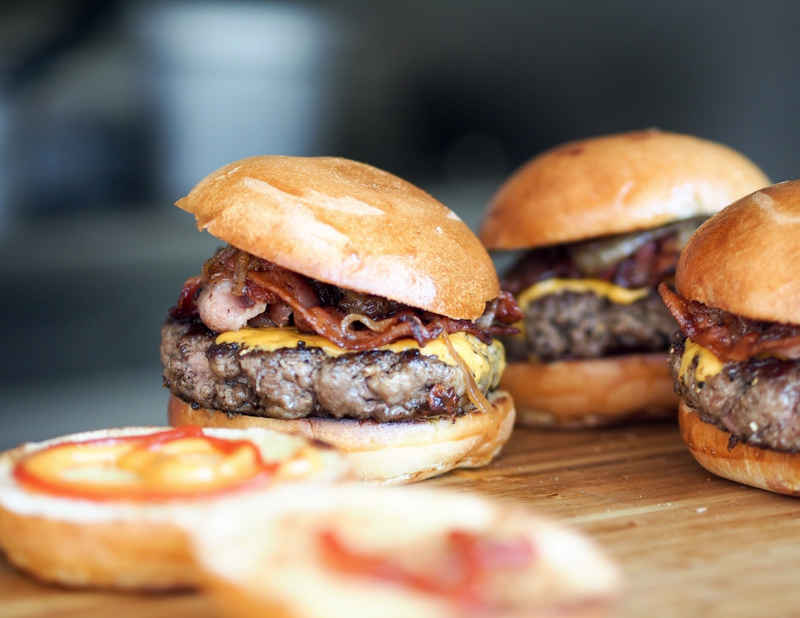 Cook the burgers in a skillet over medium heat until cooked to desired doneness—we recommend medium well for burgs. Slice rolls in half, and top with burger patty and toppings. Serve with healthy snacks like veggies or fruit and dip. Enjoy!